Papaya is an oval shaped fruit that was basically grown in Central America and the American tropical islands; then transported to many countries to be available in all markets to very affordable prices. Papaya has a few names that were derived from Spanish, and also related to the plant family of its tree. 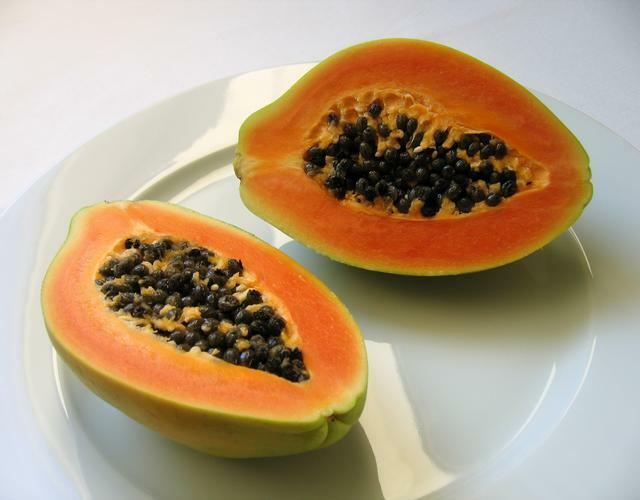 It is named as papaw, pawpaw, and carica papaya “related to the carica plant order”. 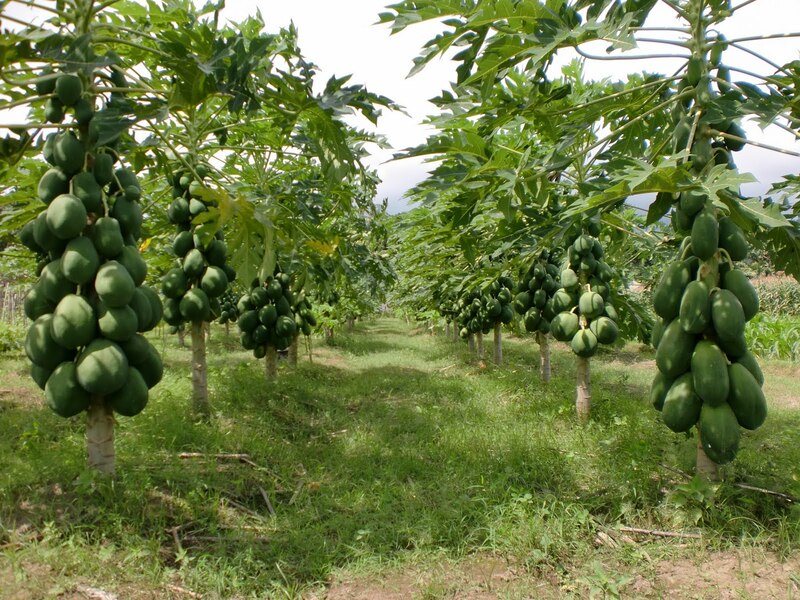 The papaya tree is a giant herb-classified plant which produces fruit. When fully grown, it reaches from 5 to 10 meters in length, and it produces an oval shaped fruit that is either green or orange, and sometimes a mix of shades between both colors depending on the maturity degree. The tree takes a very adoring shape with its cylindrical trunk, with one stem on top where all the branches are confined. 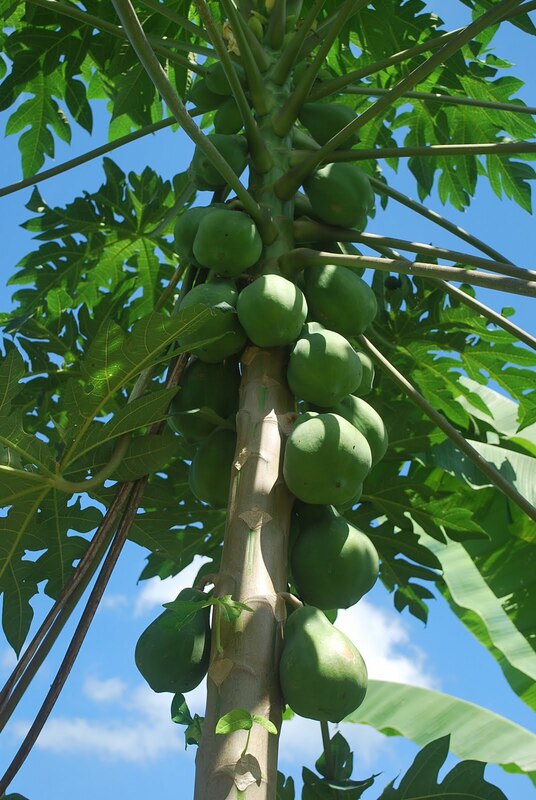 The papaya leaves are big and the diameter of each single leaf may reach 50 ~ 70 cm. The whole tree takes the same glorious look of palm trees. The fruit flesh is often orange colored, exactly like bright sweet potatoes when cooked in the oven. 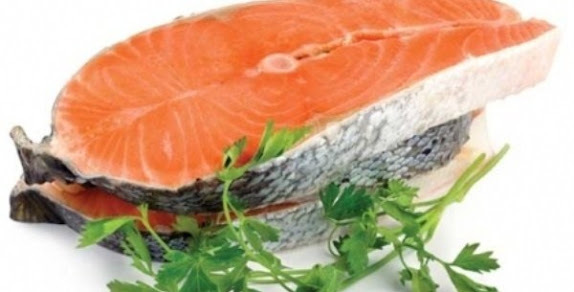 Sometimes the flesh is semi-orange or even yellow, and it is not related to the degree of maturity here, but it may differ in taste which is a soft, sweet melon or pumpkin-like taste. The seeds are small, round and black. You will find then occupying the center space after cutting the fruit into two halves. Papaya is rich in vitamins, minerals, phytochemicals and sugar. 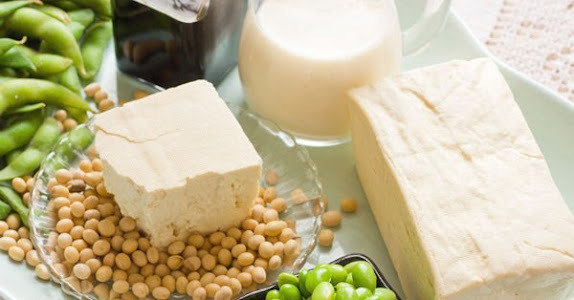 It has some potential health benefits including curing some diseases and being used in herbal medicine and cooking.